The primary goal of most financial advisors is to cultivate clients with investable assets of $1 million or more. This is a difficult task because rich people are not easy to find. According to a new book, Uneasy Street: The Anxieties of Affluence, rich people are hiding—mostly from the judgment of others. Our clients are high income people who are out there. If you’re prospecting for high income clients, here are some of our typical clients. Can You Become Rich From the New Tax Law by Becoming a Company? If you have a job that’s conducive to freelancing — such as writing software or being a plumber — and you’re willing to take the risks of working for yourself, you could be able to reap the tax breaks introduced in the law. 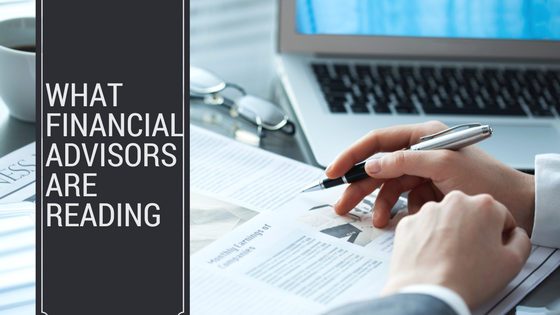 A recent report suggests that instead of more fiduciary regulation of financial advisors, what advisors really need is more training and education. Advisors often invest in the same high-cost actively managed funds they put their clients into — and at the same inopportune times. The stock market has been shaken by turbulence in the last few weeks, something it hasn’t experienced in a few years. Here are five tips from financial professionals that could help ensure that a volatile ride doesn’t derail your financial planning. With social security in doubt, retirees have lifestyle and long-term care questions that robo advisors can’t answer. A financial advisor’s greatest challenge is to manage the emotional and psychological rollercoaster that affects clients when looking at their portfolios. This emotional handholding is critical and often the most important and impactful thing an advisor can do to help clients.